I find it ironic that this particular tree is known as a “floss silk.” It is entirely covered in sharp thorns–not exactly smooth on the skin! However, it is beautiful. Took this from Sugarloaf (Pão de Açúcar), looking down into the harbor in Rio de Janeiro, Brazil. 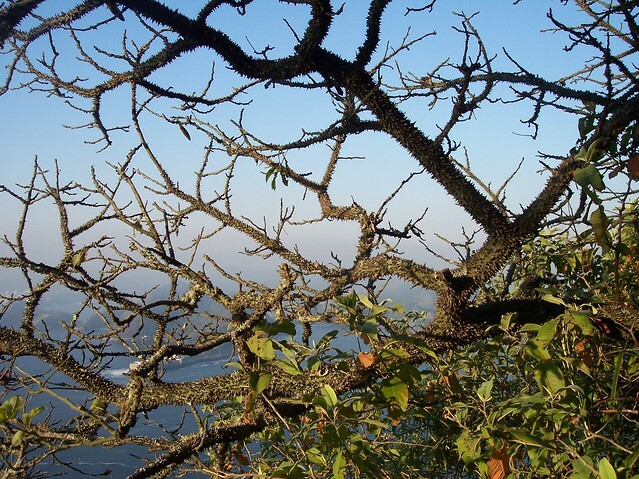 This entry was posted in News, Poetry and tagged harbor, leaves, ocean, rio de janeiro, sugarloaf, thorns, tree. Bookmark the permalink.